Social media is the new(ish) kid on the block in business advertising. Social media platforms are online tools that allow you to get in front of your customers without doing the hard sell. Over the next couple of weeks, we will be breaking down social media into bite size pieces so you can understand what it is, and how you can use it for both personal and business purposes. Grab yourself a coffee (or beer), take a seat and get comfy while we break down the barriers that have been holding you back in the world of social media. Social media is the thing your kids are obsessed with and is what stops them from talking to you or helping out around the house! Social media is a relatively new concept that was originally developed as a way for you to communicate with your friends and family online without ever having to be in the same room (or country). It allows you to share ideas, thoughts, photos and videos quickly and easily so that you can stay in touch with those you care about. In the last few years, the whole social media concept has grown rapidly and it is now very rare for a person not to use some form of social media each day. If you haven’t heard of all of these, don’t let this list scare you! There are so many different platforms out there and things are constantly changing – what’s in this week could be a thing of the past in a month. Even if you’re actively interested in using social media, it’s unlikely that you have used all of these platforms – there simply isn’t enough time in the day! There is a lot of noise out there in the social media world – it can be easy to get overwhelmed. Social media has also spread into the business world, and while not every business needs all social media platforms, it is almost always beneficial to have your business of some form of social media platform. It is important to note that social media typically does not drive sales or customers to your business directly but it does offer social proof and authenticity. We are all more likely buy from someone our friends recommend over a product you have seen advertised. In a nutshell, social media helps to build trust. Bob’s Carpet Cleaners is starting to sound better than Sally’s Carpet Experts with their flashy TV ad. Then imagine you were able to go a place where you could see real before and after photos and lots of messages and reviews from other (real) people raving about how incredible Bob and his team are. When you are looking for a carpet cleaner for yourself, you are now much more likely to use Bob’s Carpet Cleaners than a random company you saw advertised on TV or in the paper – you’ve just been convinced by social proof! 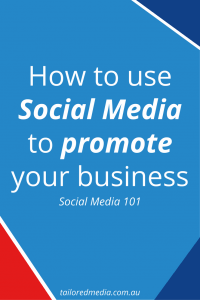 Having a social media page for your business allows you to create and collect social proof from a variety of sources and make them easily accessible for potential clients. 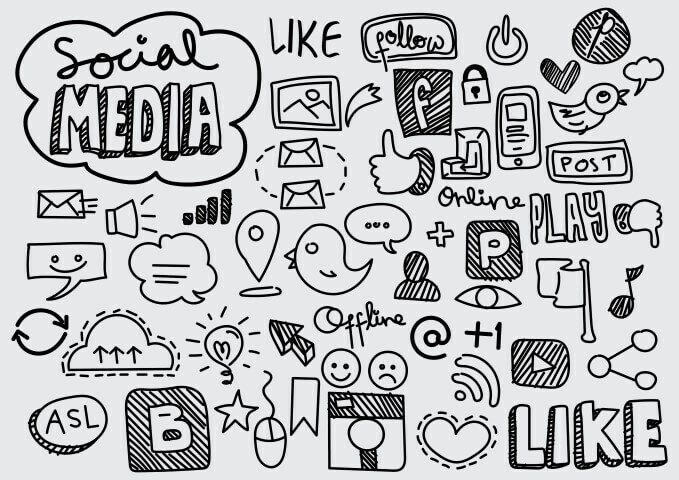 So what are the types of social media and what do they do? Over the next couple of weeks, we will be breaking down the most popular social media platforms, how to use them and whether or not you should be using them for your business. Stay tuned for next Friday when we talk about the big Kahuna: Facebook!